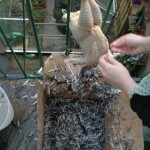 At the weekend I killed a chicken, and Louisa and I plucked it and then Louisa butchered it. 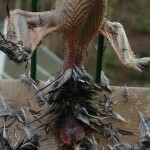 It was one of a few chicks that turned out to be male, so his fate was to be killed and eaten by us. 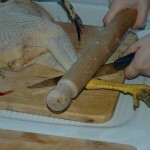 This was the second chicken I’ve killed myself (for food or otherwise) – the first one took a bit of mental preparation but this one was a bit easier. He has a pretty good free range life, was killed quickly and we’ll waste very little of him (we’ve already had a soup made from cooking his carcass in the slowcooker). 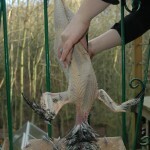 Louisa has written up the experience in more detail on her blog. 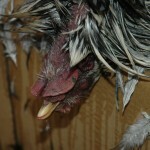 Here are some photos – you might consider them a little grisly. really dont think this should be on here as you have some wonderful pictures but these have really put u in a different light; why take them and put these on here ? ?